The American economy is in peril. It has fallen hostage to a casino of financial speculation, creating instability as well as inequality. Tens of millions of workers are vulnerable to layoffs and outsourcing, health care and retirement burdens are increasingly being shifted from employers to individuals. 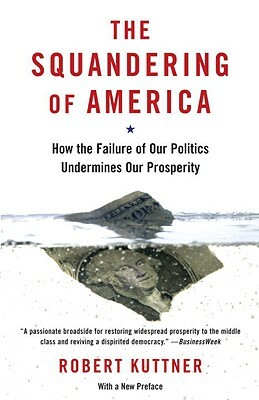 Here Kuttner debunks alarmist claims about supposed economic hazards and exposes the genuine dangers: hedge funds and private equity run amok, sub-prime lenders, Wall Street middlemen, and America's dependence on foreign central banks. He then outlines a persuasive, bold alternative, a new model of managed capitalism that can deliver security and opportunity, and rekindle democracy as we know it. Robert Kuttner is a founder and co-editor of The American Prospect magazine. He wrote a column for Business Week for twenty years, and he also has a weekly column in The Boston Globe and many other papers. He has published two books with Knopf--Everything for Sale (1997) and The End of Laissez Faire (1991).